WALKING the fairways on a beautiful golf course in one of the nicest spots in England, you cannot help but ask yourself: Why on earth is this place not a magnet for more golfers? Yes, Petersfield Golf Club has a long history from 1892, so it has tradition. But it is not stuffy. And yes, it is a members’ club, but those members greet visitors with a genuine welcome. The problem, it seems, is that Petersfield has been hiding its light under a bushel for far too long. 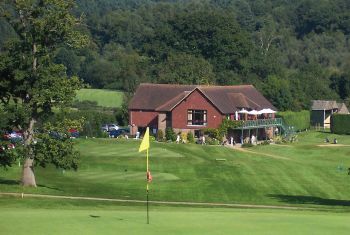 Apart from a main course in an Area of Outstanding Natural Beauty on the South Downs, there is also a second string to Petersfield’s bow: another golf course. 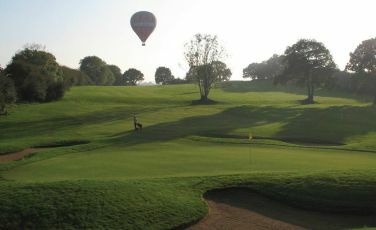 South Petersfield Golf Club, part of the original Petersfield GC which relocated north of the town in 1997, is a 12-hole pay and play course of 3,000 yards. If you join Petersfield, gold membership allows members to play both the Adhurst and South Petersfield courses. Silver membership gives playing rights to the main Adhurst 18-hole course and access to South Petersfield course for half the green fee. PETERSFIELD has a thriving junior section catering for boys and girls aged 7 to 17. 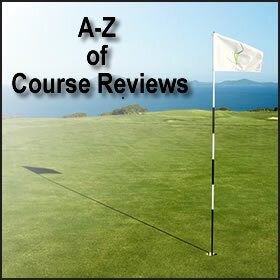 All standards of golfer are catered for, from the beginner to the more skilful. Regular voluntary game improvement coaching sessions are held free of charge. During the school holidays, free taster sessions are also held for non members. The club is also fortunate in having the 12-hole trainer course of South Petersfield at its disposal, where beginners can play without pressure from adult members, and progress to the main course when they feel ready to do so. SOCIETIES are welcome at Petersfield from Monday to Friday. A minimum 12 players qualify as a society, and your day can be customised to suit your needs. A large percentage of societies are repeat visitors, who can enjoy the course and amenities ranging from the standard breakfast menu to a full three-course menu. THE Petersfield Clubhouse, which includes a bar and restaurant, offers a modern, light and spacious environment for events. There are panoramic 360° views of the course and the clubhouse can host large functions where more than 100 people can wine, dine and dance. This is an excellent way to end a round of golf. Or why not unwind on the spacious south facing balcony overlooking the 18th green? The golfers bar, dining room and lounge are situated on the first floor and provide ample space to host large functions where over 100 people can wine, dine and dance in comfort..
A full bar service is offered, whilst our highly qualified chefs offer a menu to suit most tastes. The clubhouse is a popular venue for many visiting societies, weddings and companies. For further information telephone 01730 895324. PETERSFIELD Golf Club is well over 100 years old, and today blends a feeling of solid, charming tradition which is complemented by the need to stay abreast of today’s instant communication needs. On the course, there are continuing and subtle improvements, such as new course signage tastefully done, but the club is also keeping up with the modern age through Twitter, Facebook and email updates for members. And it gets full marks for one of the easiest golf club websites to negotiate.